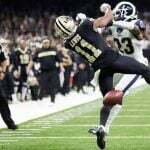 Two New Orleans Saints season ticket holders are throwing up a Hail Mary attempt to have the result of the controversial NFC Championship game overturned. 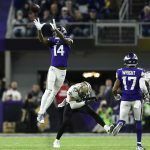 The play which allegedly robbed the two complainants of their loss of enjoyment in happened with the teams tied at 20 with less than two minutes to go and the Saints in scoring position with a chance to win. At that point, the refs appeared to miss what should have been a blatant pass interference call on Rams cornerback Nickell Robey-Coleman. No penalty was called, and the Saints went on to lose the game in overtime. D’Amico believes that NFL Commissioner Roger Goodell has the power and the responsibility to overturn the result and replay the end of the game. 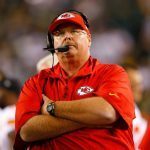 Will penalties be reviewable in 2019? It should be noted that the complainants in this lawsuit aren’t suing due to sports betting losses. So far, no bettors have stepped forward with a claim of being wronged by the result, but that hasn’t stopped one sports book from offering compensation anyway. 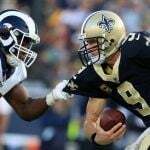 PointsBet, a sports book in New Jersey, initially said that it would refund any bets made on the Saints due to the blown call. They later clarified that the refunds would still be made, but in the form of site credit, not cash. While calling it a “good karma payout” for those who were jilted by a seemingly unfair result, there’s little doubt that the company knew it would receive a good bit of publicity for the move. The New Jersey sports betting market is one of the biggest and most competitive in the US. Assuming that Commissioner Goodell doesn’t use his powers to have the Saints and Rams replay the end of the NFC Championship, the Patriots and Rams will meet in Super Bowl 53 will kick off in Atlanta on February 3. Los Angeles opened as small favorites, but with money pouring in on New England, they’ve now moved into the driver’s seat as a two-to-three point favorite.